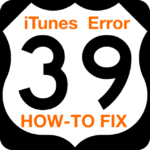 Some users have reported an issue in which iTunes 10 for Mac OS X crashes on launch. There are a few potential causes for this issue, and corresponding fixes. Remove third-party add-ons. Start iTunes in safe mode by holding down the Option and Command keys (Mac) or the Shift and Control keys (Windows) while launching iTunes. 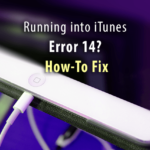 If this solves the problem, try removing third-party plug-ins as described in this Apple Knowledge Base article. Also, remove any third-party items from the folders /Library/QuickTime and ~/Library/QuickTime. In particular, some users report that removing DesktopVideoOut.component from these locations resolves the issue. 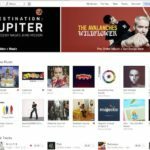 Relaunch iTunes and check for proper startup. Recreate your iTunes library. As described here. Remove then reinstall iTunes. Failing the above, try completely removing iTunes per these instructions then reinstall iTunes 10. Downgrade to iTunes 9.2.1. 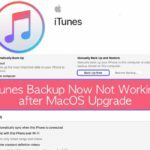 If both of the above options fail, you can (as a last resort) downgrade to iTunes 9.2.1. Worked for me!, thanks guys! Is been a brutal 2 months without iTunes! Where is the freakin´ DesktopVideoOut.component???!!! I don’t want to upgrade to iTunes 10 … but when I click on my iTunes Store icon the screen fills up with a message asking me to download the new version. How do I get into the store without upgrading? There is no “No Thanks” icon to click on and proceed to the store. I had this same problem and downgraded to 9.21 to fix it. Recreating my iTunes Library worked for me!! Thanks! On Windows 7 I have the same problem – iTunes 10 wouldn’t open at all, unless it was opened in safe mode. After hunting about unsuccessfully for this DesktopVideoOut.component, I ended up just opening up the new version of QuickTime (which had downloaded along with iTunes). The act of just opening QuickTime did the trick – now iTunes starts no problem and everything is fine. Same thing worked for me! People, a little help – where exactly is DesktopVideoOut.component in Windows 7? There’s no ‘Library’ sub-folder in my User folder, at least none I can see. Removed DesktopVideoOut.component and it worked again. Thanks. I removed DesktopVideoOut.component from ~/Library/Quicktime and it was fixed! OK, I know, I’m an idiot, but I can’t for the life of me find the desktopvideoout file…could anyone be more specific about where it would be (Windows XP)? Thanks. 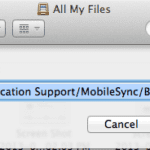 Moved to iTunes 10, and got the notorious “cannot find folder” issue when trying to sync. 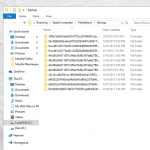 Problem turned out to be symlinks in my music folder – blowing them away fixed it. Yes same issue! I temporarily fixed it by holding option then going to the go menu in the finder and deleting the plist files in my home library folder. Downgrading to 9.2.1 works the best. I have over 16k songs as well. How do I find this component. I am running WIndows Vista. DesktopVideoOut is now out … and iTunes finally launched! I disabled Genius and apparently it worked. Me, too. removing DesktopVideoOut.component does it! I finally restored 9.2.1 from Time Machine. I could not get 10 to launch. I tried everything but removing DesktopVideoOut. I may try that but at the moment I am all tried out. I have this problem too, iTunes 10 launches for a few seconds then i get the wheel! If I unplug my 2 ipods and iphone though it works fine! I‘ve tried all the methods mentioned above,only downgrading can solve the problem.